Fully-Mobile Site - Play Anywhere Anytime! 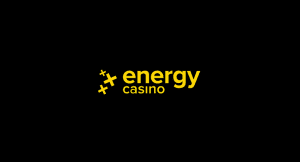 EnergyCasino have brought in the gaming big boys for your pleasure with game software from the likes of Microgaming, Evoltion Gaming and Play 'N Go so you know all your favourites are going to be here. These guys have really pulled it all together to make a terrific all-round mobile online casino experience. With masses of games choices, sports, tournaments, LIVE action and VIP there's just so much to choose from! When casinos went mobile it was a total game-changer. Folks can now play games and videoslots on their favourite device wherever they are! Therefore mobile gamers can luckily access EnergyCasino even when they’re away from home or not able to play at their desktop. Or just love playing mobile! This mobile site is definitely one of the much better optimised mobile ones that actually work just as stunningly well as playing on a PC. On top of that, Energy Casino reviews are going to get off to a good start as these guys offer a rather attractive welcome bonus. 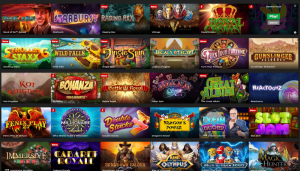 The brand-new Energy Casino promo code 2019 gives new players up to £150 to play with. But it doesn’t stop there. The Energy Casino welcome bonus comes in two parts! Therefore these guys will then match up to £150 on your second deposit with a potential £300 welcome bonus in the offing! 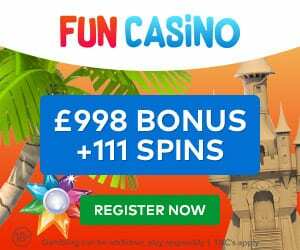 There are also loads of other special offers and giveaways and other regular special Energy Casino bonus codes 2019 and beyond! 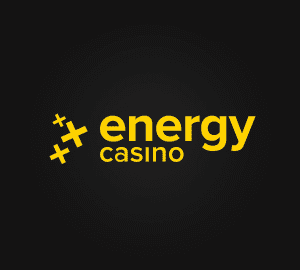 As we stated earlier, Energy Casino gives new players up to £150 as an initial welcome deposit. Then will then match this with their special Energy Casino Reload Bonus 50% up to another £150 meaning that new players can potentially get an extra £300 to play with! You could end up an Energy Casino promo code junkie with all the offers to be found here. They have a Lucky Number waiting for you daily with an extra £15 to be won on Live roulette. There’s also a weekly 50% Reload Bonus on the game of the week. There’s even a Goalless Draw Bonus available at the weekends. So if you put £10 on a goalless match (0-0) they will refund it! In addition, there are also tournaments on lots of different games so you’ve got a chance of winning some incredible cash prizes. For players who just love the experience of playing in a Live casino, Energy provides a good choice of Live dealership games. For total casino realism, Live casino video games are continually streamed in HD from various angles. This really puts players right in the middle of all the exciting action for that real-life casino feel. Energy Casino Live also includes a good few Live dealership video games consisting of Baccarat and Blackjack. If Live roulette video games are more your thing you’ve got from Classic to Golden Ball Roulette. Players can also play for perks and prizes as they climb the dizzy heights of the games leaderboard positions. Tournaments are a big deal here so make sure you grab your Energy Casino login now and see if you can be the biggest winner! As with most reputable online gambling portals, EnergyCasino has various choices for processing your deals securely in and from outside the UK. Their very flexible payment methods also make it possible to rapidly deposit with simplicity and speed. This versatility likewise encompasses giving gamers the choice to store their payment information for even faster depositing on future visits. Withdrawals and deposits from debit cards and charge cards such as Visa, Entropay and MasterCard are all fully accepted. In addition, instantaneous banking is an invited choice for consumers of certain other deposit methods. Furthermore, they offer a wide choice of e-wallet options so, in terms of payment ease, you’re covered. Energy’s primary gambling website is intuitively designed and organised well. The site itself is visually stunning and super-user-friendly including easy navigation around the casino. The online Live lobby proudly announces (and rightly so!) the impressive welcome bonuses and of course, the large range of games and slots available to players. EnergyCasino is powered by game giants Microgaming, Netent and Greentube software – three of the biggest and most trusted leaders in the online gaming casino software market. Play can begin the minute you’re all signed up. Gamers can select from a lovely selection of internet browser games which require no app or download to play saving valuable battery life too. EnergyCasino is totally accredited and controlled by the UK Gambling Commission as well as the Malta Gaming Authority. So you know you’re in safe hands. Energy is therefore fully accountable for running based upon particular licensing arrangements which they have to strictly adhere to for their members’ well-being and protection. This doesn’t only guarantee all your funds (and any winnings!) are safely and also firmly stored. It also ensures that numerous security steps are taken into extra consideration for total protection. Energy ensures its website is a safe, happy environment for players by making use of the most up-to-date latest 128-bit SSL file encryption and data technology. Therefore all individual and financial details are completely secured. You really can play with ’til your heart’s content knowing your online game is a safe & thrilling experience. Their complete library consists of over 500+ video games. Consisting of numerous slots, video poker and all the classic land-based casino games like baccarat or blackjack. Players are easily able to quickly sort and search through the various video game options and game styles if all the exciting game selections seem a little overwhelming. 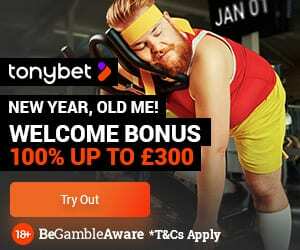 As we said earlier, they also have a great selection of sports and virtual sports for those sports betting UK lovers out there. Although they offer lots of variations of classic video games like London Roulette and Multiball Roulette, fruit devices make up the bulk of Energy’s offerings. They are even able to boast a remarkable choice of brand spanking new game titles such as Fruit vs Candy, Game of Thrones and Rich Castle. So players can try their luck on a classic slot or an exciting new spin reel.